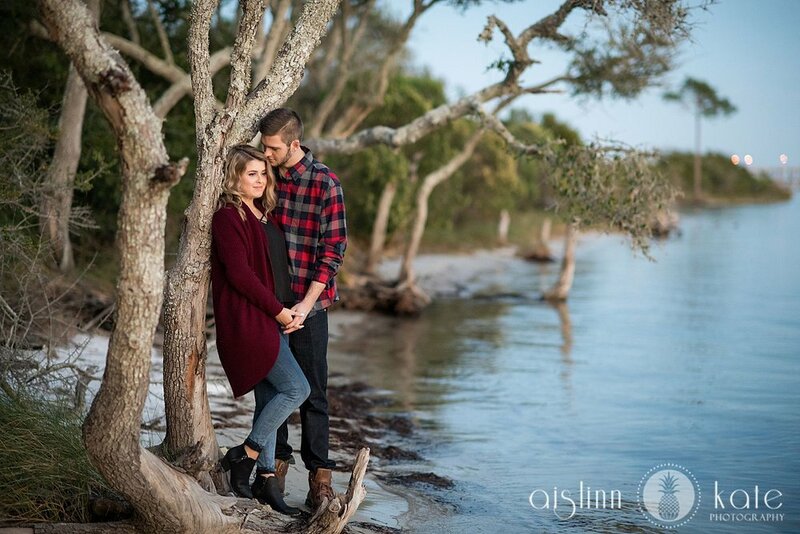 Anna Claire and Brett got stuck in traffic on the way to their Gulf Breeze engagement session (Three Mile Bridge strikes again!). We were in contact the whole time and decided to go ahead with the session, even knowing it might end up being shorter than usual since sunset was nearly upon us. We ended up starting the session a mere SEVEN minutes before sunset. 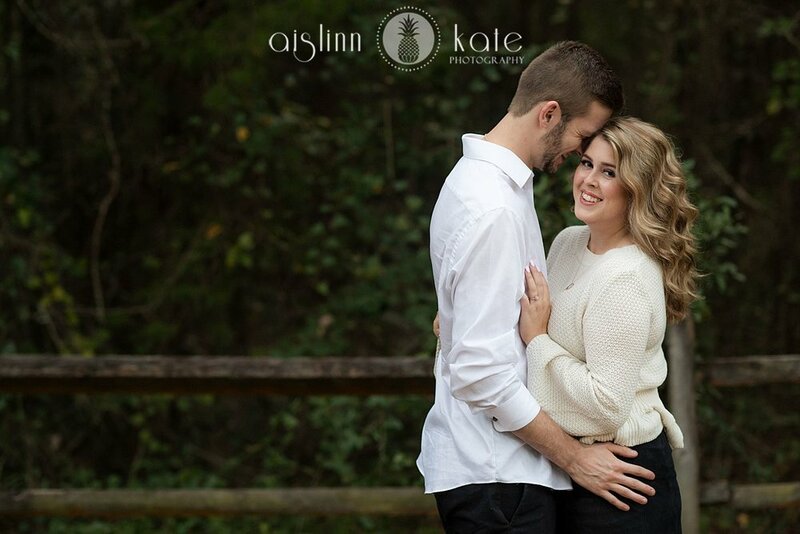 Most clients (myself included) would be flustered and upset and have an impossible time relaxing into a photo shoot so quickly - but Anna Claire and Brett were a dream. They were so kind and lovely with each other, and are both so stinking photogenic that we made magic in the seven minutes we had. We even squeezed an outfit a quick location change into the session! 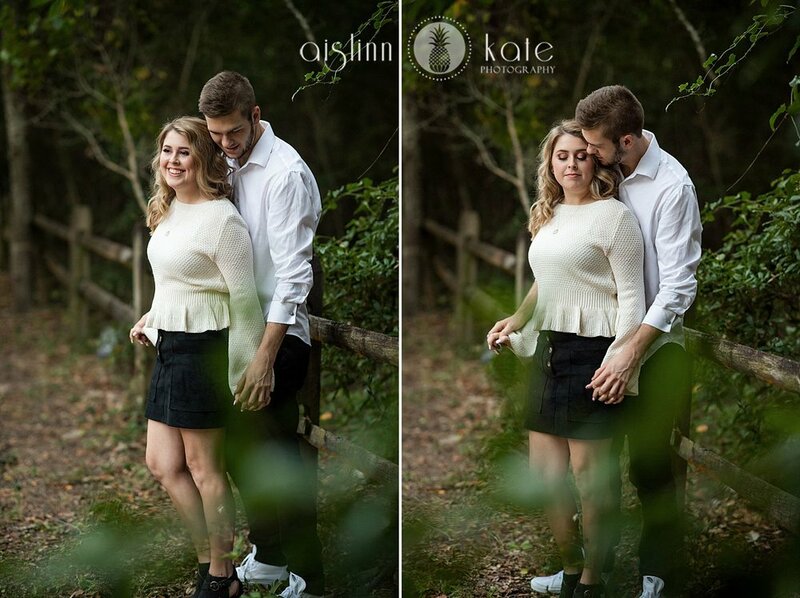 I love the portraits were created and know their Pensacola wedding this spring is going to be magic.